in order to pass the time in between classes, me and my buddy used to sit in the compass and “scope”. “Scoping” is a point game that we developed while observing our diverse college community. It is a great way to get a good perspective of your surrounding environment. different things we would look for were bikers with helmets, someone wearing all one color, lone gingers( a redhead with freckles walking alone) and groups of 5 or more sorority or frat members. we had a few more but i cant remember all of them. my favorite scope category was the lone ginger because i seemed to notice that the most of all the categories. 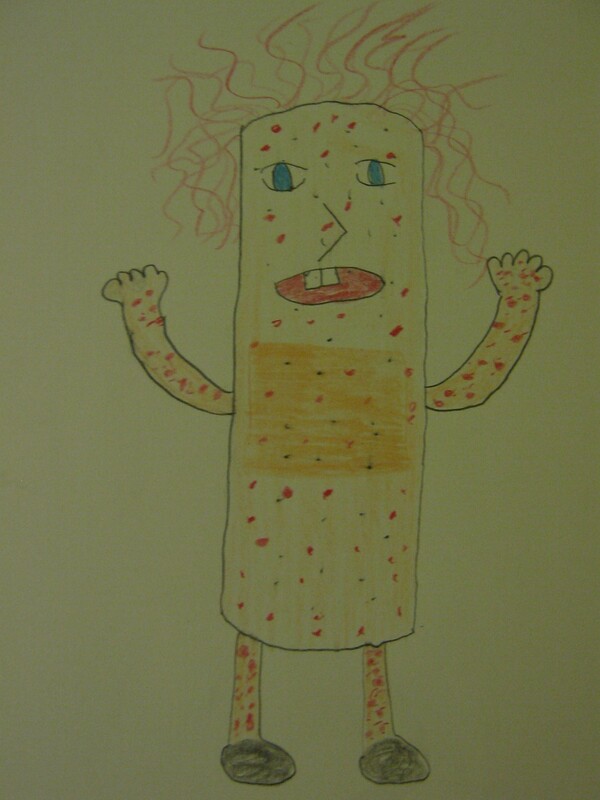 i decided to draw my own lone ginger band aid. curly red hair and covered with freckles. the buck teeth aren’t necessarily common with lone gingers, i just thought it made the image that much more funny.